Get ready for some bunny fun with this egg full of bunnies! 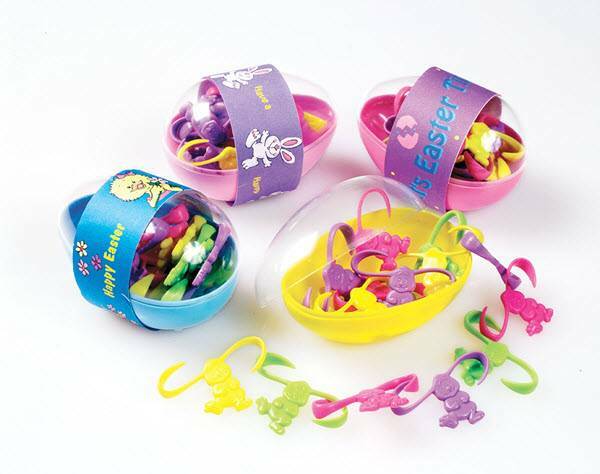 Just like Barrel of Monkeys, pour these colorful bunnies into a pile then try to string them together. If you drop your bunnies, you lose a turn. Be the first to connect all the bunnies together to win! Perfect game for Easter baskets or family game night!